Drake opened up about his relationship with Kanye West and what went wrong on LeBron James's HBO show Barber Shop. 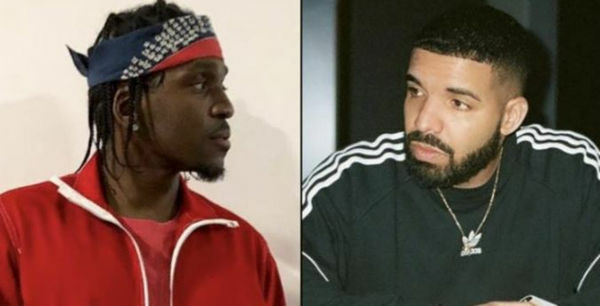 In the chat, Drake explained why he thinks Kanye leaked the info about his secret son to Pusha T, who used it against him in the diss track "The Story Of Adidon". “By the way, I'm in Wyoming and I play him ‘March 14th.’ I send him a picture of my son. I tell him I having trouble with my son’s mother. I wake up, and all these dates are out. Then the next two days, whatever, I wake up now to this text from him, passive like, 'Yo, I love you brother,'" he recalled. "'Lift Yourself' comes out with him just talking nonsense. Oh this guy’s trolling me. This was like a manipulative, like, 'I wanna break you' thing. So I said alright. I’m gonna go back to distance myself again. I know what this is. Then, the first album drops. And of course, there’s a diss song toward me that you produced, that’s talking about writing? I was just there with you as friends helping you, and now you’re dissing me. So I’m like, man, this is dark." As for "The Story Of Adidon", Drake thinks Push should be punched for what he said about his main man and producer 40 -- who has MS -- on the track, and added that that dig convinced Drake to just ignore Push going forward. Do you think that's really why Drake didn't respond?